As summer approaches, saturated fruits and flowers are a bloom! 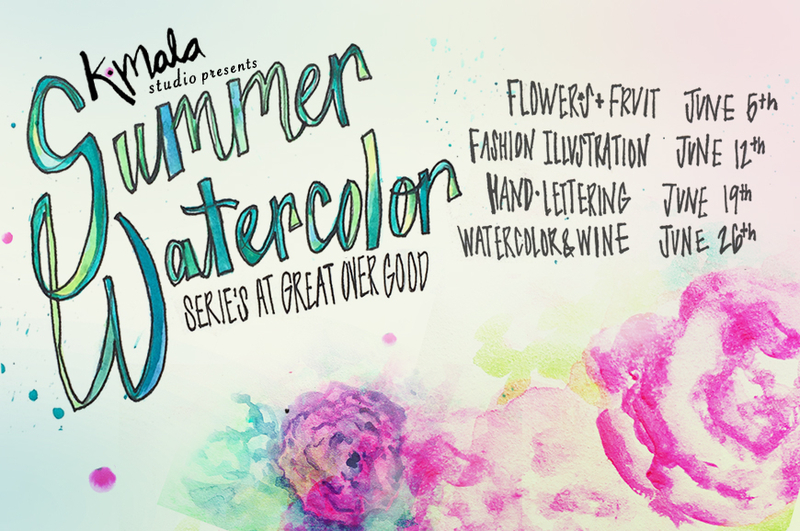 Join K.Mala at Great Over Good for this fun class as we explore color, shape, and pattern with the help of some seasonally fresh fruits and flowers on display for your painting pleasure. Take home your painting and frame for a beautiful summer addition to your home! Strike a pose! You are guaranteed fun in this class! Rip out your favorite fashions from K.Mala’s collections of magazines, or use yourself as inspo and bring in a fabulous photo for reference. K.Mala will cover the history of fashion illustration and different styles you can explore to create your very own flirty fashion illustration! Feeling inspired by a quote or music lyric? 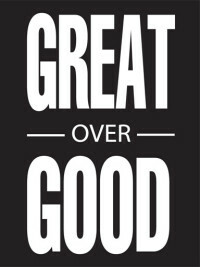 Hand-lettering posters are fun way to display motivation on the daily. K.Mala will cover all the basics from initial sketch and concept to techniques for rendering a beautiful poster size quote for your home or office. What better combination than wine and watercolor? A beautiful vignette will be setup so you can come paint and relax with K.Mala as she leads you through a creative night of painting and drinking wine. Kim Malachowski is a graduate of Laguna College of Art Design in Laguna Beach, where she obtained her BFA in Illustration with an emphasis in Graphic Design. Since then she has had a diverse experience working in design and fashion. Projects include: establishing a t-shirt line (spotted on the likes of Audrina Patridge and Paris Hilton), showing at UniqueLA for several years, and displaying art in local galleries and art walks. Kim most recently lived in San Francisco while working as a designer and illustrator for Pottery Barn Teen. She is looking to bring fun and art to a wider community in Orange County to spread the love and joy of art with others.